Lately I’ve noticed I’ve put on a little weight and most of my summer dresses don’t look as great on me and certainly don’t feel as comfortable as before. I needed something that looks pretty and feels great on me but also able to hide my growing tummy and this shirred dress proved to be the perfect choice! I decided to go strapless for my shirred dress tutorial but straps are so easy to add once the dress is ready. I’m planning on adding some soon, just to be on the safe side, as I tend to be quite careless when I run errands, can’t risk to put myself in the situation of flashing someone with my “goodies” lol. 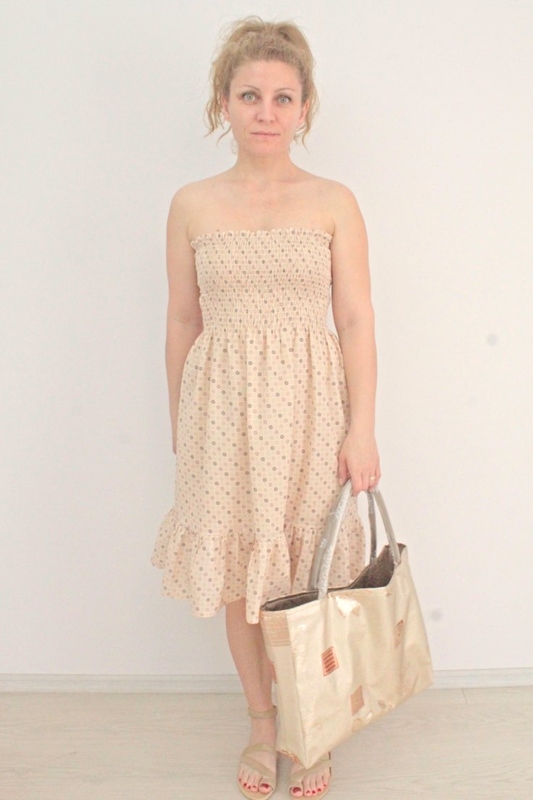 This adorable comfy shirred dress is also very versatile. You could wear yours as an every day dress, a party dress or a beach dress. It all comes down to the fabric choice and the shoes you’re wearing with this cute dress. When making this shirred dress pattern I’ve shirred about 22 rows using elastic thread so my dress is shirred the entire bodice down to the waistline. You can sew as many rows as you like to make your dress feel comfortable and fit your own body. For larger chest areas you may need to add more rows than on small chest areas. Also the closer the shirred rows the tighter the dress. Because my fabric was quite see through I had to add lining. I used rayon lining while my dress is cotton but if you’re a beginner I advise you use the same type of fabric fro main dress and lining (if any is needed). If you don’t need to add the lining, just skip the steps where I go over the instructions on adding lining. Before proceeding to making your own dress if you’ve never shirred before, you might wanna take a look at this shirring tutorial. Measure around your bust and multiply by 1.5. 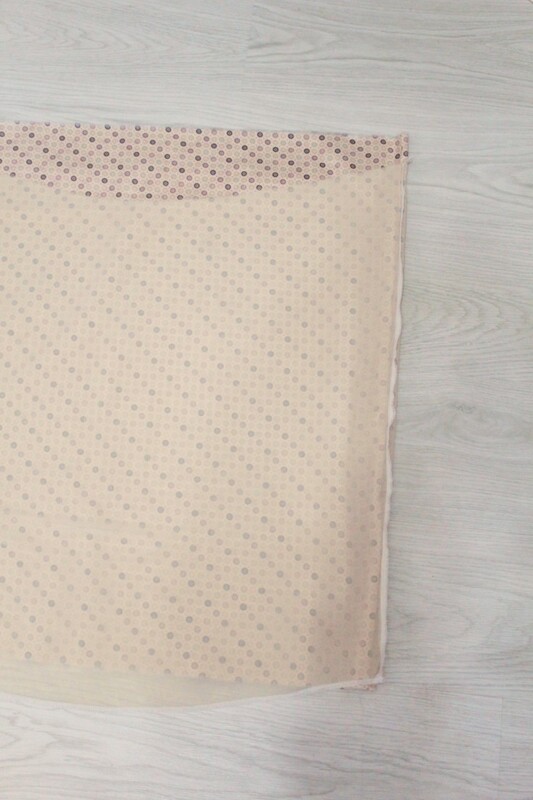 This is the width of your fabric (front and back). Measure from armpits down to where you want your hem, subtract 6″ and add 1″ allowance. This is the length of your dress. To calculate the ruffle: the width is 6″ plus 1/2″ allowance plus hem (I added about 1″ for hem); the length is double the width of your dress. Using the measurements for the dress cut a large piece of fabric, fold in half lengthwise and cut. Repeat for the lining if using any. For the ruffle cut a long strip using the measurements above fold in half lengthwise and cut. 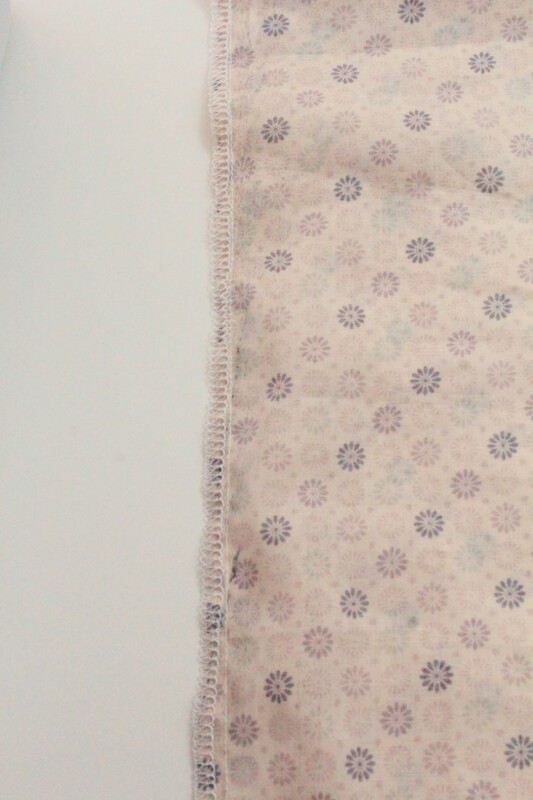 Pin the sides, sew with 1/4″ and serge or finish with a zig zag stitch. Repeat these steps for the lining then serge or zig zag the hem on the lining. If you don’t need lining skip this step. With the dress right side out and the lining wrong side out (so the right sides are matching) slip the dress inside the lining until the tops match perfectly. 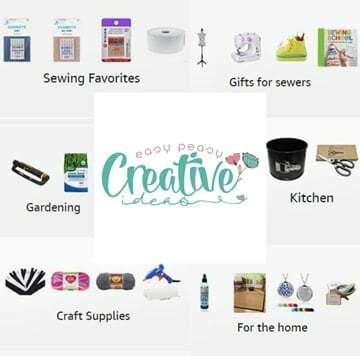 Pin the tops and sew with 1/2″ allowance. 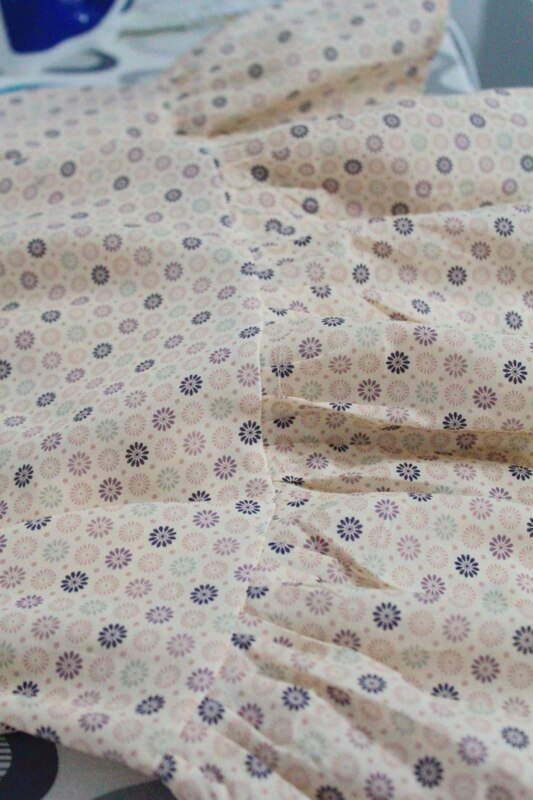 Fold the lining inside the dress, press the tops and sew around the top with 1/8″ allowance. If you don’t use lining skip the above 3 steps. Just do a regular hem for the top of your dress to hide the raw edge. Take the ruffle strips, sew together at one end with 1/4″ allowance then hem the whole strip. 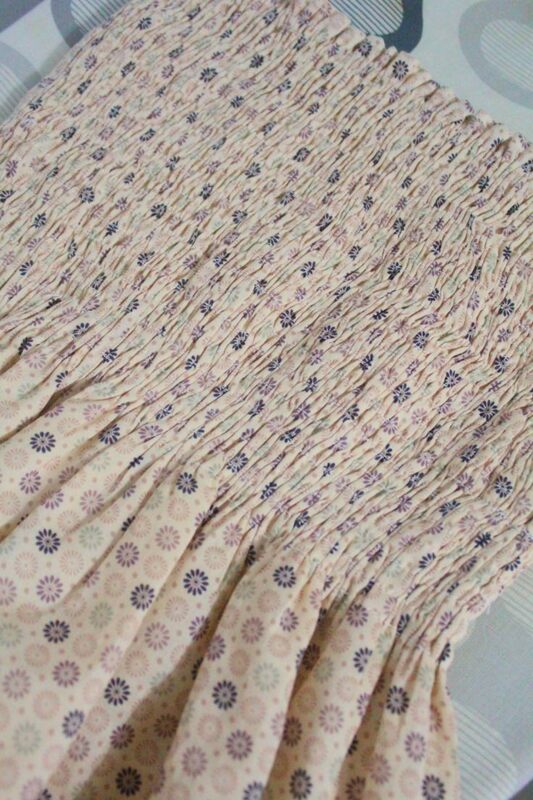 Using a ruffler or this method, gather the fabric at the opposite edge to create a ruffle that matches the hem of the dress. 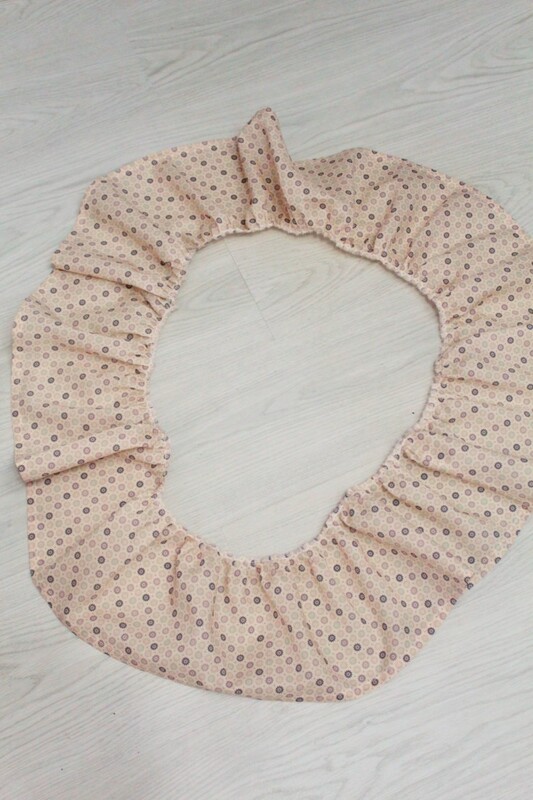 Sew the ruffle at the second end with 1/4″ allowance so it’s now into a circle. 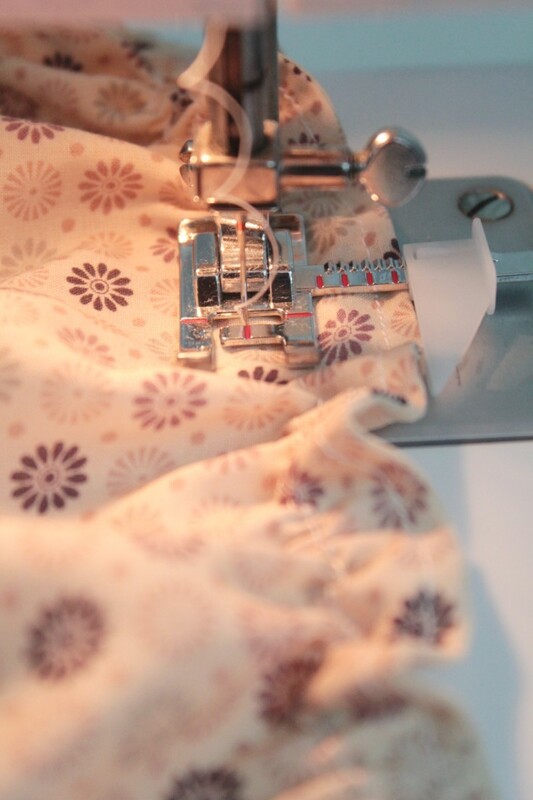 Finish both seams with a serger or a zig zag stitch. With the dress right side out and the ruffle wrong side out match the hem of the dress and the raw edge of the ruffle. Pin and sew with 1/2″ allowance then serge or zig zag. Fold the ruffle down and push the seam up. 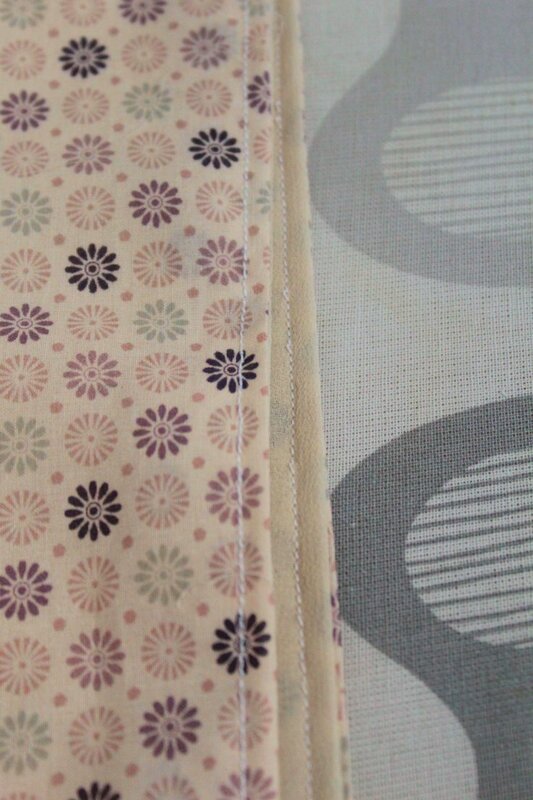 If you added lining match the seams of the lining with the seams of the dress and pin. 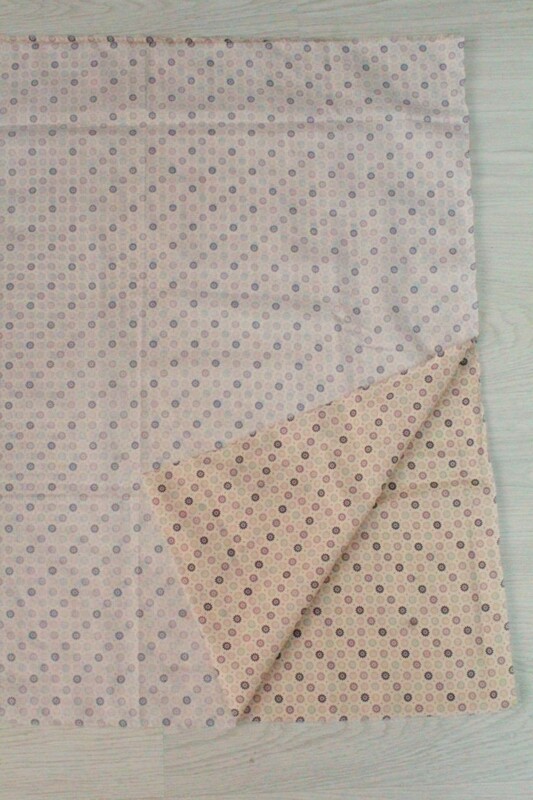 This will help the lining stay in place when you shirr. Using this tutorial shirr the top of the dress. Sew a few rows then try your dress on to see if you need to add more rows or stop where you are. The distance between my rows was about 1/2″. And that’s pretty much it! 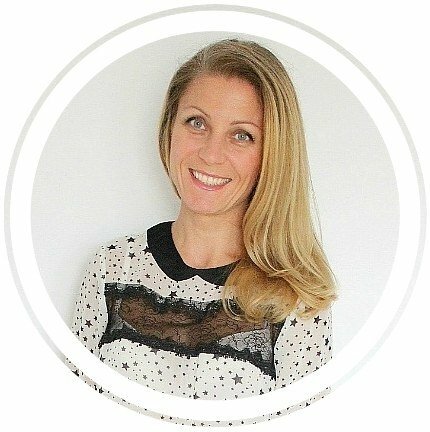 Enjoy your shirred dress! If you liked this summer dress tutorial let me know in the comments below and don’t forget to rate it! Thanks!